Last year we built a semi-custom closet for the girls and got their clothes organized with a hope for it to stay that way. I don’t want to brag but guys, the closet is still organized and looking so, so good. 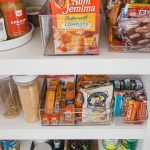 I’ve mentioned here before that staying organized can be challenging for me (case and point – the old pantry) but I think I finally figured out the key to staying organized – create a system that works. 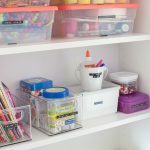 Today, I’m going to show you the system that works for organizing the kids’ clothes. 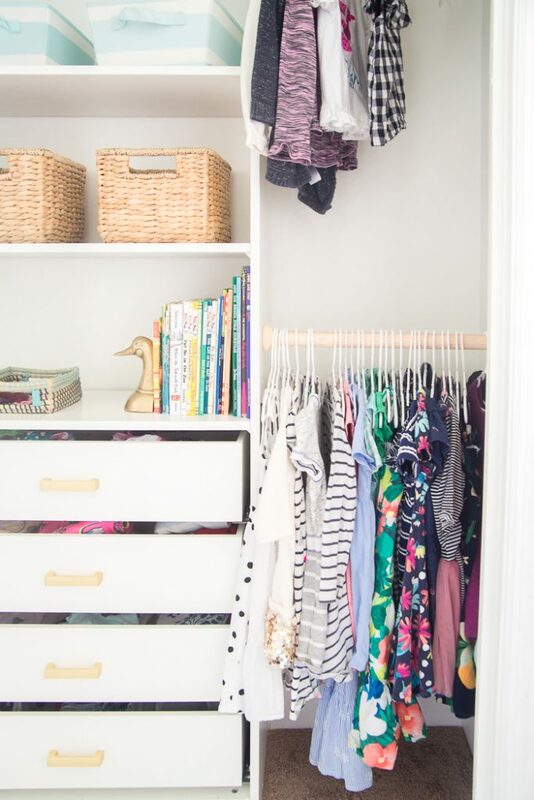 The best thing we did to keep our kids’ clothes organized was to create a functional closet. Having the clothes at eye level has been such a lifesaver. The girls can grab the dresses they want very easily, and they can put away their own dresses as well. The closet is also very functional because it provides even more drawer space. We have a nice sized dresser but it’s still not enough for the two girls. We keep all of Peighton’s clothes in the closet drawers and all of Millie’s clothes in the dresser. This system works perfectly for them. No drawers are overflowing, and they are surprisingly neat (with the exception of the days they decide on having fashion shows). I have to be honest, I have generally scoffed at the KonMari method. I haven’t watched a single second of her show on Netflix. I’ve scrolled passed every post I’ve seen on it. For whatever reason, it hasn’t interested me and I don’t want to decide what sparks joy. That being said, I was intrigued by how she folds clothing. 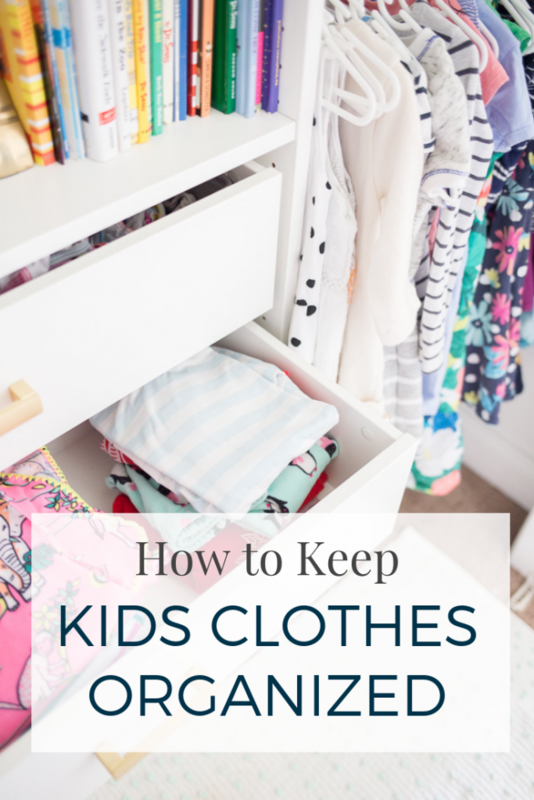 I tried it out after the last clothing purge and it made a huge difference, especially for the girls. It allows them to see all of their clothing easily. 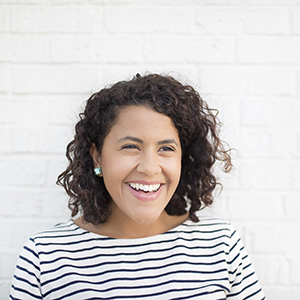 No more riffling through the drawers looking for a specific pair of leggings. They could see them all right away. 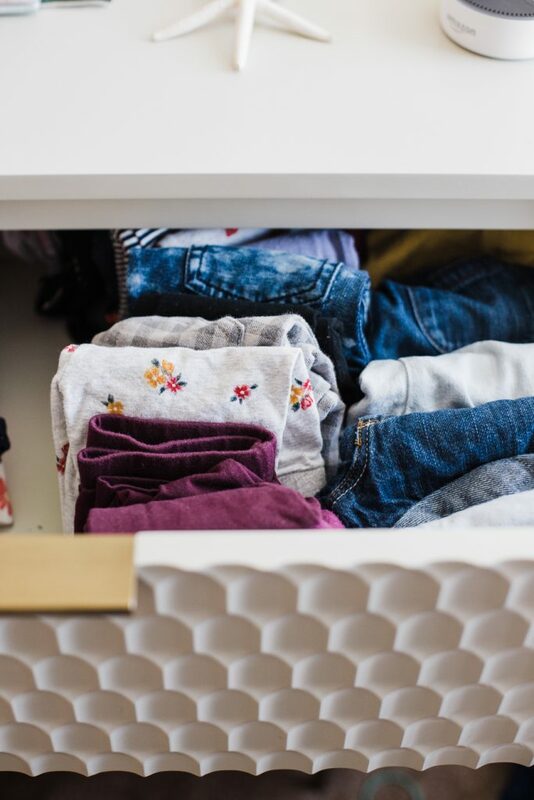 This way of folding clothes also creates more space in the drawers – which we can all use. Going through the girls’ clothes often allows me to keep them all organized. 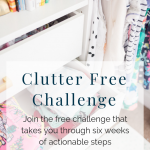 If any of the drawers start to get a little messy – I take that opportunity to go ahead and go through the clothes to remove anything they’ve grown out of or simply worn out. 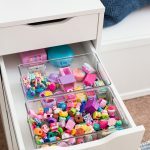 To do this, I pull out everything, inspect each item and then replace it in the drawer. I usually end up with a nice big pile to donate and much roomier drawers. 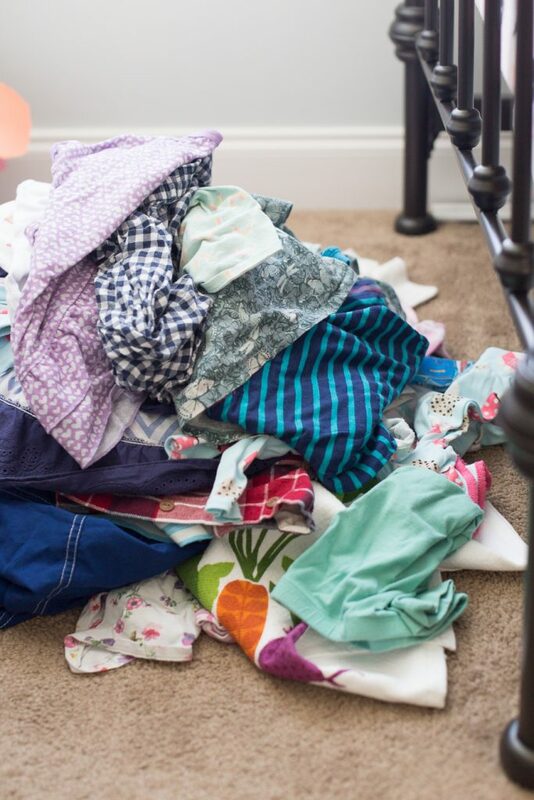 For little ones, items like socks and undies can get lost in big dresser drawers. I use inserts like these to keep them organized. In one drawer we keep a bin for socks, and one for undies. We also have another bin for tights. 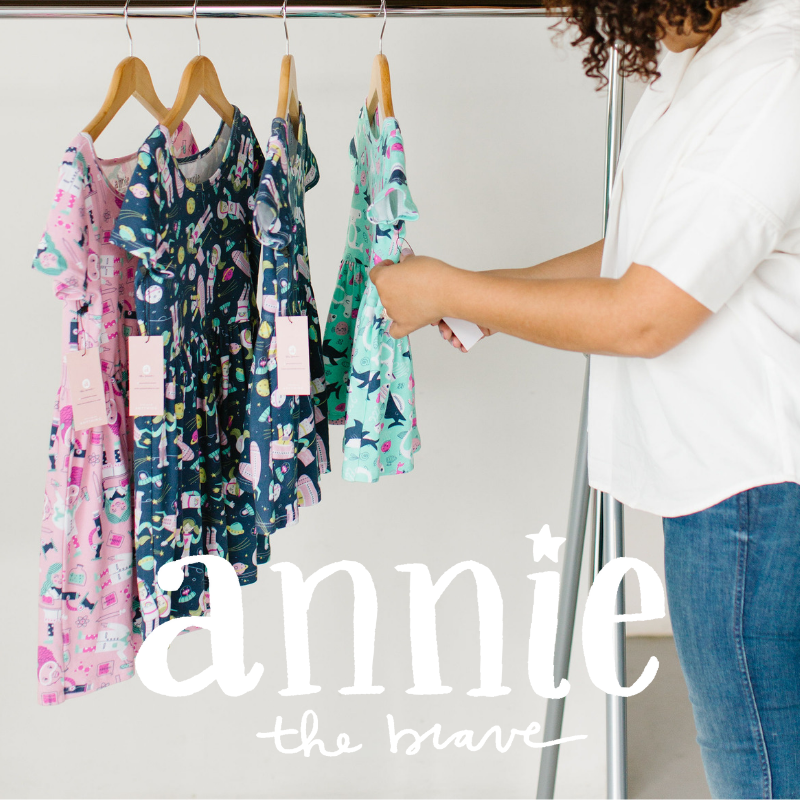 You’ll notice a theme in our system to keeping kids’ clothes organized: make it as easy as possible to find things. 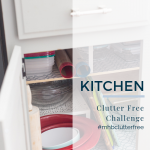 The easier it is to find items, the less likely the things are to get tossed about. We keep the socks and undies separated in bins so we don’t have to dig through undies to find a pair of socks. We keep all of the clothing easily visible so we can just grab what we need without disturbing the other items. 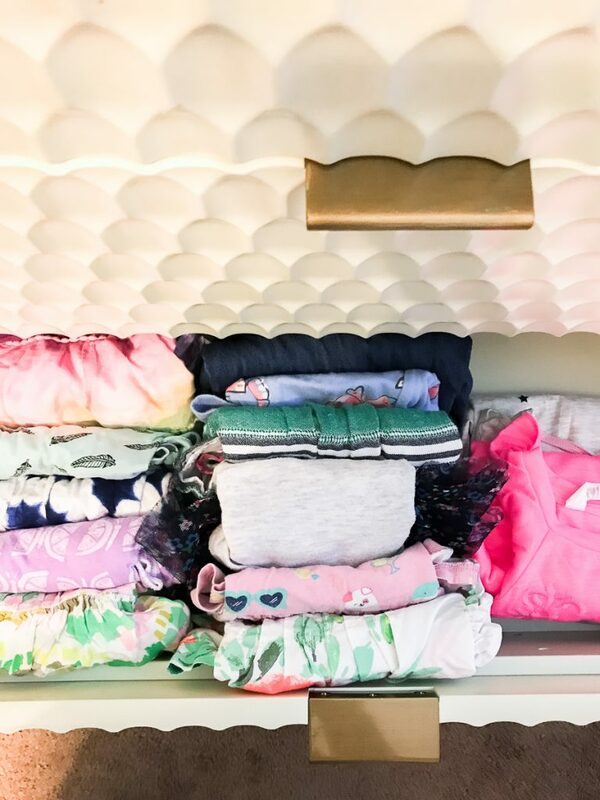 I’d love to hear how you keep your kids’ clothes organized. What problems do you have when it comes to keeping clothes organized? Let me know in the comments! We have GOT to do this closet system for Hadley and Sadie! I have been thinking about your post ever since the day you published it!! 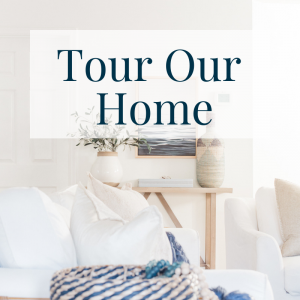 I am so tempted to just hire California Closets and be done with it, but it would save SO much money doing it ourselves. I just want it done RIGHT, and I’m not sure that we’re nearly as handy as you and Matt! !